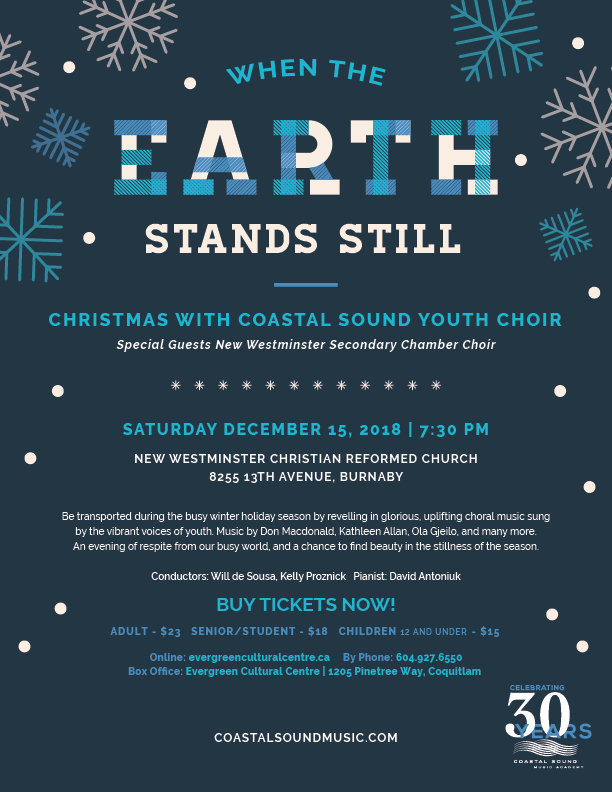 Be transported during the busy winter holiday by revelling in glorious, uplifting choral music sung by the vibrant voices of youth. Music by Don Macdonald, Kathleen Allan, Ola Gjeilo, and many more. An evening of respite from our busy world, and a chance to find beauty in the stillness of the season. © 2018 Coastal Sound Music Academy. All rights reserved.